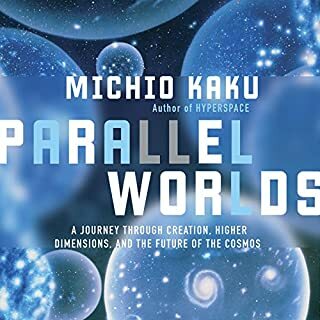 In short it’s an amazing book. 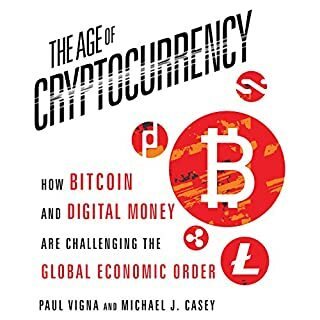 It describes the history and origins of bitcoin and blockchain, going through all events up until 2014. It describes very well the benefits, advantages, risks, ... of crypto currencies. Talks about the impact of digital currencies and blockchain on the global economy and politics. Talks about ethereum and smart contracts, ripple and instantaneous transfers, crypto currency exchanges, wallets, ... and many other related topics. Even though the book was completed in 2014 but has all what you need to know about the subject. Finally the narrator, Sean Pratt, is the icing on the cake. He is just perfect. 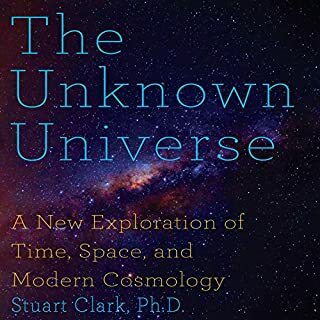 I didn't like some parts, especially at the beginning of the book, when the author goes back in history and explains about what and how scientists (cosmologists, physicists, ...) discovered the elements of universe and how theories were put in place, etc... I find such parts boring and useless for someone who wants to understand the universe now. Too much details, especially with list of vines and terroirs in each country. This part should have beeen like a reference, not to be read entirely. And not enough details when talking about fermentation or production or tasting. 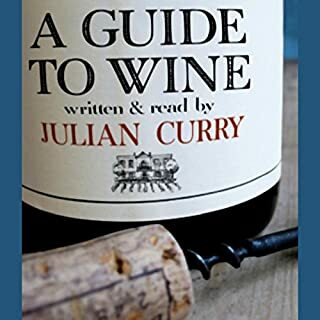 The author mentioned many wines in each country but i would have loved if he mentioned the best reputed wines also with some details about them. 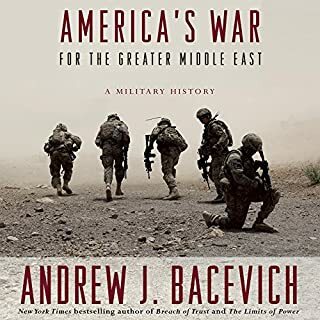 The book contains, in addition to the history of course, the reasons behind those wars and the way the different American decision makers, politicians and military, used to see this region and its importance. The reader is however very boring. But I highly Recommended the book. The author seems extremely convinced about his predictions and tries to convey his convinctions to the readers. I'm not sure if anyone on this earth can be so sure about future events especially related to economy, and therefore pushing people to act accordingly. If however his predictions will be true, then we are heading to a new economical worldwide disaster. 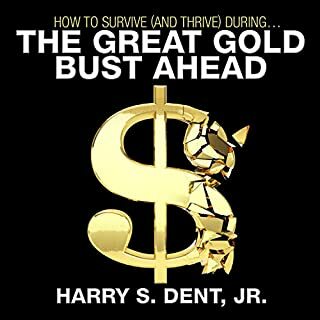 But again, is it possible that no one from the world economical and financial leaders predicted the same events or read his book and was convinced about his predictions, and will do nothing to change this fact? 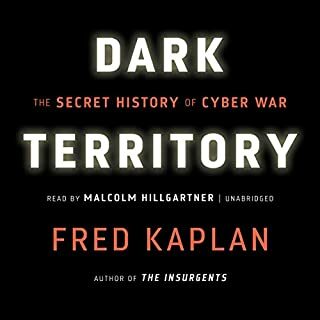 I was not expecting and was disappointed by the fact that the book talked mainly about the historical events related to cyber security and cyber warfare, from the era older than 10 years (60s, 70s, etc....). I was more interested in more recent events. The title makes you think it will be a book about the historical ancestors of human kind. 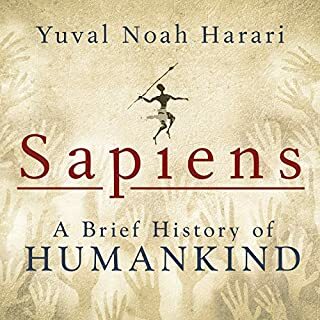 A big part of the book actually talks about it (and it's very interesting) but the remaining part gives a unique analysis about mankind's cognitive evolution throughout history, until our present days and even gives some hints about the future. I didn't like however the author's sarcasm about religions in general and Christianity in particular. But even with this last comment in mind, I highly recommend the book. 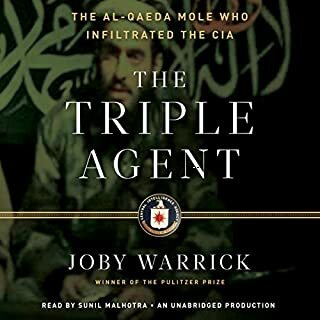 If you think you will read a great spy book, you're totally mistaken. 80% of the book is describing the different characters involved in the bombing and their superiors, relatives, colleagues, etc ... The actual story can be told in not more than 1 hour. There is even a chapter about targeting Osama bin Laden, which has of course nothing to do with the book. Totally not worth the time spent. 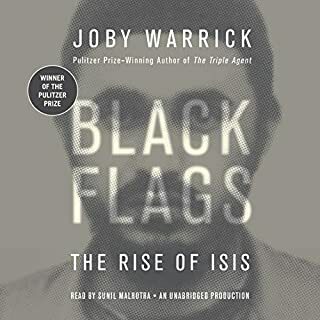 The book "black flags" for the same author, is by far a better choice. Anyone who is remotely interested in the Middle Eastern politics and events must read this book. It shows the roots of ISIS (or ISIL or Daesh) and how they started, grew, what events helped them, who was behind their initial ideology, their impact on Iraq and Syria, until they took over Mosul and its treasures and piles of arms, and the public announcement of the Islamic khalifate. I didn't however like the narrator. He was very slow and monotonous.